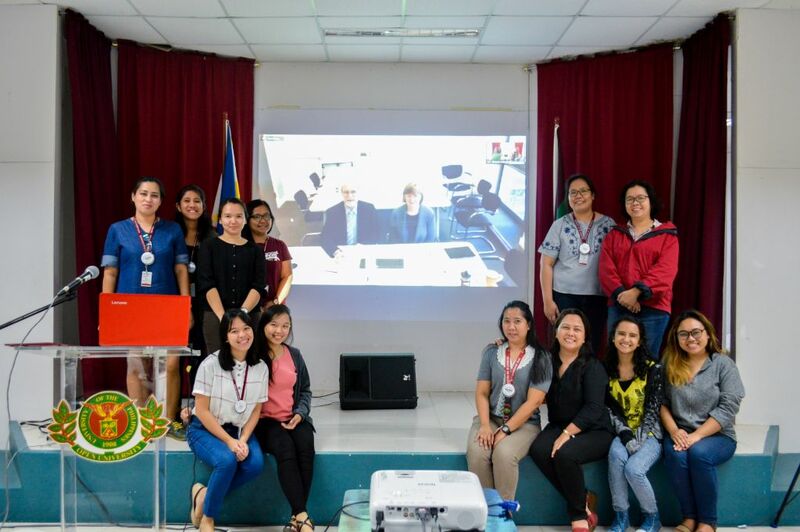 The Faculty of Education, University of the Philippines Open University (UPOU FEd) spearheaded a Workshop on Developing Inclusive Practices with Technologies for Online Learning and Teaching for the UPOU faculty and staff last 12–13 November 2018. Guest speakers and facilitators were academicians hailing from the Department of Educational Research at the Lancaster University, United Kingdom). The two-day event consisted of lecture sessions, open fora and group presentations. 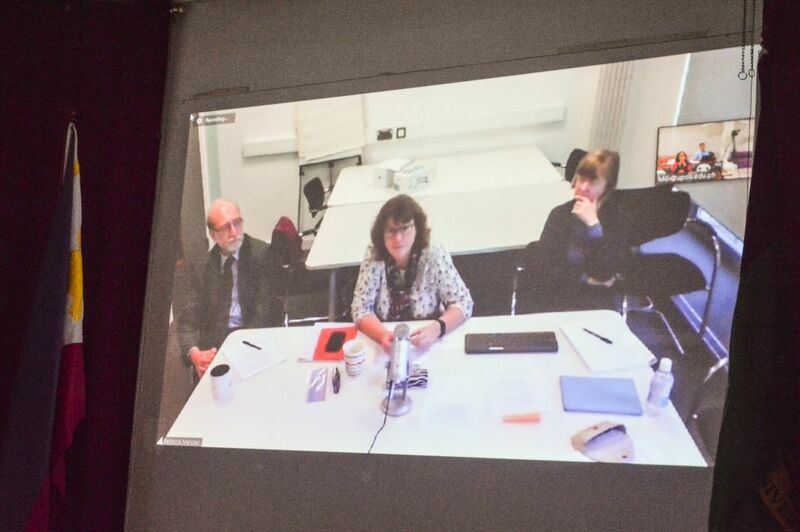 The first-day lecture sessions were commenced by Dr. Rebecca Marsden, an online learning support officer. She primarily advocates for distance learners’ needs at the departmental and university level committees at Lancaster University. Dr. Marsden’s session was on “Accessibility and Virtual Learning Environments”, in which she discussed about the significance of digital inclusion for staff and students. While Dr. Marsden presented the legal requirements for both the United Kingdom and Philippines, she also touched on the Universal Design Framework and enumerated practical steps on how to implement them into existing course packages and sites. Dr. Marsden also emphasized in her lecture a thought from the Moodle Project, that “[achieving digital] accessibility is not a state; it is a process of continuous improvement in response to [the] users and the wider technical environment”. (L–R): Dr. Don Passey, Dr. Sue Cranmer, and Dr. Rebecca Marsden share their expertise on digital accessibility, and social and emotional engagement and online activities for learners. Dr. Marsden’s lecture was followed by Dr. Sue Cranmer’s session. Dr. Cranmer is a lecturer who directs and teaches Master of Arts in Social Justice, and teaches courses under the Doctoral Programme in e-Research and Technology Enhanced Learning at the Lancaster University. Her topic focused on “Accessibility on Devices”, in which she mainly demonstrated the applications she used to manage and navigate her course sites. Aside from advancing the provision of student-centered accessibility features in online education, Dr. Cranmer is also passionate about innovations on teacher-centered digital accessibility. Having been diagnosed with Irlen’s Syndrome, she finds that using purple overlays when looking at screens decreases the visual stress that she experiences. On the other hand, Dr. Cranmer recommended the use of speech recognition software, such as the Dragon Speech Recognition, to lessen the discomfort felt by people with repetitive strain injuries when using the computer keyboard and mouse in navigating course sites. Dr. Don Passey, a technology enhanced learning professor at the Lancaster University and a visiting professor of the UPOU FEd, finished the lecture series with his presentation on “Social and Emotional Engagement and Online Activities”. In his talk, Dr. Passey highlighted how learners can be socially or emotionally excluded, and the practices and online activities that might address the issue. He shared his experiences in managing interactions in his course sites, specifically in the discussion fora. Dr. Passey mentioned that there are various cases of both social and emotional engagement and exclusion, In this regard; teachers must be alert and careful when to initiate conversations and intervene in the dialogues of the students. He also underlined that a balance in the quantity and quality of interactions must be maintained to have both healthy social and emotional engagements. Workshop participants and facilitators pose for a photo session after presenting their learning through observations and points for improvement on sample course sites. The second day was reserved for the workshop proper. Participants were grouped and tasked to review and evaluate identified course sites based on the (1) optimum standards for digital accessibility; and (2) social and emotional engagement with students. Presentation of results followed, and both Dr. Marsden and Dr. Passey gave feedback and facilitated the discussion with follow-up questions. In terms of digital accessibility, the participants determined different strengths and points for improvement of the examined course sites. One of the main obstacles discovered in implementing accessibility features was the need for upgrading the version of Moodle availed by the UPOU to be able to use its improved features. Another recommendation regarding the social and emotional engagement of students was to do further research on the exact reasons students are not engaging with their course mates or withdrawing from the courses, so that goals on how to solve this issue can be set. The two-day workshop ended with talks on possible research directions and future collaborations of both universities.